SLOW SPA is a new spa in Barcelona, a space of well-being inspired by Asia, cozy and comfortable, located in the heart of Barcelona’s Eixample. To get a unique experience, you can find treatments designed and adapted to the needs of each client through an exclusive and personalized service that will transport you to a state of SLOW BEAUTY. Once you pass through the doors of Slow Spa, the pace changes. Here it is easy to forget the hustle and bustle or problems outside the door and totally relax. Slow Spa is committed to taking the time necessary for you to fully enjoy your treatments, and understands that both mind and body are involved in sincerely providing help to fight stress. In SLOW SPA all products employed in treatments are 100% natural, organic and vegan. There are no ingredients or derivatives of animal origin in their composition. In the center of the city of Barcelona, we have created a space where time stops. Slow Spa offers you a space of serenity amidst the urban hustle and bustle, a temple of relaxation and beauty for body and mind that will allow you to disconnect, renew and recharge. Discover a multisensory experience of beauty and wellness immersed in an oasis of absolute tranquility. Take a journey towards the balance of body, mind and spirit through our wide variety of treatments. In addition, to get a unique experience, you can find treatments adapted to your needs through an exclusive and personalized attention. In our spa in Barcelona we offer facial treatments for face care, relaxing massages, complete body treatments or the most sophisticated rituals. You will also find complete experiences to enjoy as a couple and special treatments for pregnant women, or you can enjoy a day of well-being with your friends, family or business colleagues in a unique environment with the Slow Spa Beauty Party. All our treatments are designed to counteract the harmful effects of urban life and contribute to complete care and total relaxation. For this, we have a great team of professionals and the most effective and innovative products. All the products used in our treatments are based on the efficacy of natural active ingredients and do not include ingredients or derivatives of animal origin, nor artificial chemical elements. 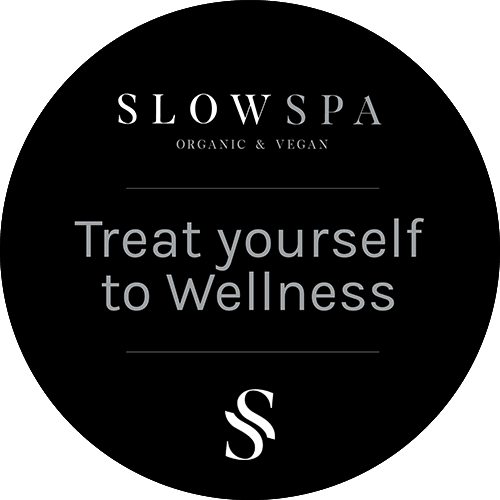 Join the SLOW SPA newsletter and discover special offers, events and more!